Wales failed to impress the home crowd without a win at Cardiff City Stadium as the Dragons played their last fixture at home before they compete at Euro 2016 in France. 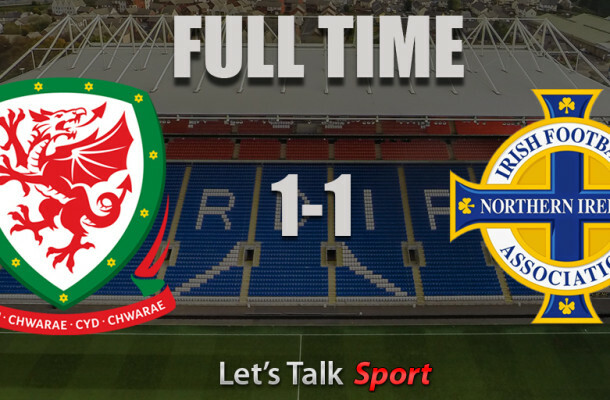 A late penalty from Wales’ Simon Church denied the visitors from picking up a win after Craig Cathcart gave Northern Ireland the lead on the hour mark. Wales: Hennessey (GK) [Ward 46′]; Gunter, Matthews, Vaughan (Allen 72′), Chester, A. Williams (C), G. Williams (Isgrove 62′), Cotterill, Vokes (Church 76′), Lawrence (J. Williams 62′), Ledley (Crofts 46′). Substitutes: Crofts, Fon Williams (GK), Isgrove, Henley, Richards, Allen, Shaun Macdonald, Church, J. Williams, Ward (GK), Huws, Taylor. Northern Ireland: McGovern (GK); Mclaughlin, McAuley, Evans, Davis (C), Lafferty, Dallas, Norwood, McNair, Cathcart, Washington. Substitutes: D. Lafferty, McCullough, McGinn, McKay, Ferguson, Carroll (GK), Hodson, Paton, Hughes, Ward, Carson (GK), Michael Smith.